"On Good Days I Row. On Bad Days I Row Harder." 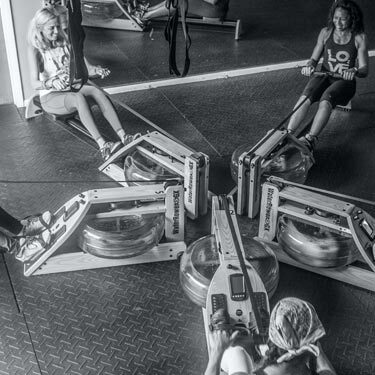 Rowing is a low impact sport that targets 80% of your muscle groups in every class! 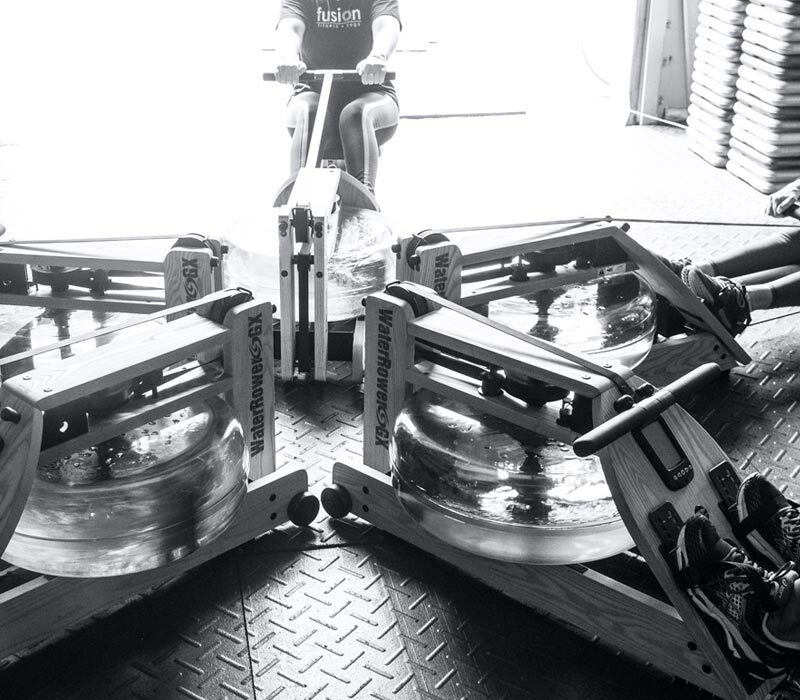 This makes our indoor rowing classes one of the most effective forms of total body exercise. Work your upper and lower body, as well as your core all at once. The benefits of rowing are numerous. 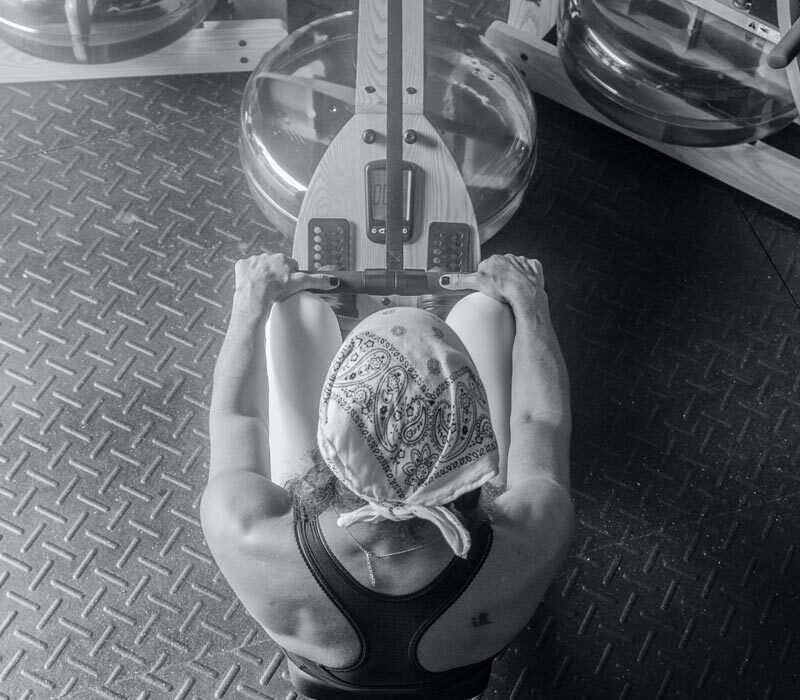 With an efficient stroke, rowing can increase back strength and improve your posture. Get stronger and leaner while losing weight. Rowing also helps to increase your mental focus & clarity. By moving your body in continuous fluid motions you start to develop a synchronized rhythym with a meditative effect. 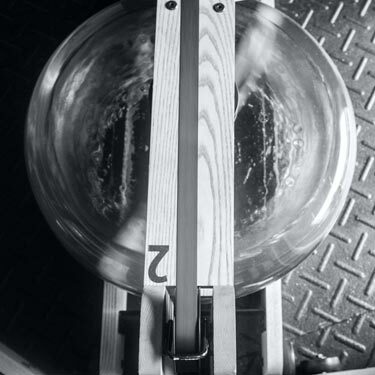 All levels are welcome, whether you're just starting out or a seasoned athlete, indoor rowing is a perfect workout. With a low risk of injury, you can stay safe and active regardless of your experience level. Rowing is 60% legs, 20% core and 20% arms in every stroke! You will burn lots of calories in addition to having a great time! 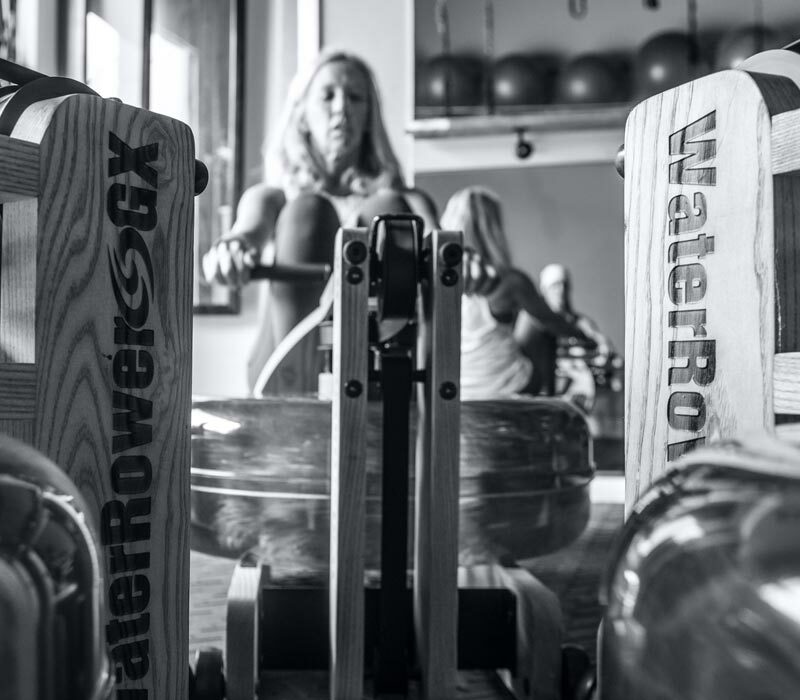 We offer signature indoor rowing classes with intervals on our water-based WaterRower machines as well as dynamic exercises to sculpt and define your body. Learn the basics of proper rowing form while activating the muscle groups in your core, legs and arms. This full body workout is as fun as it is effective. 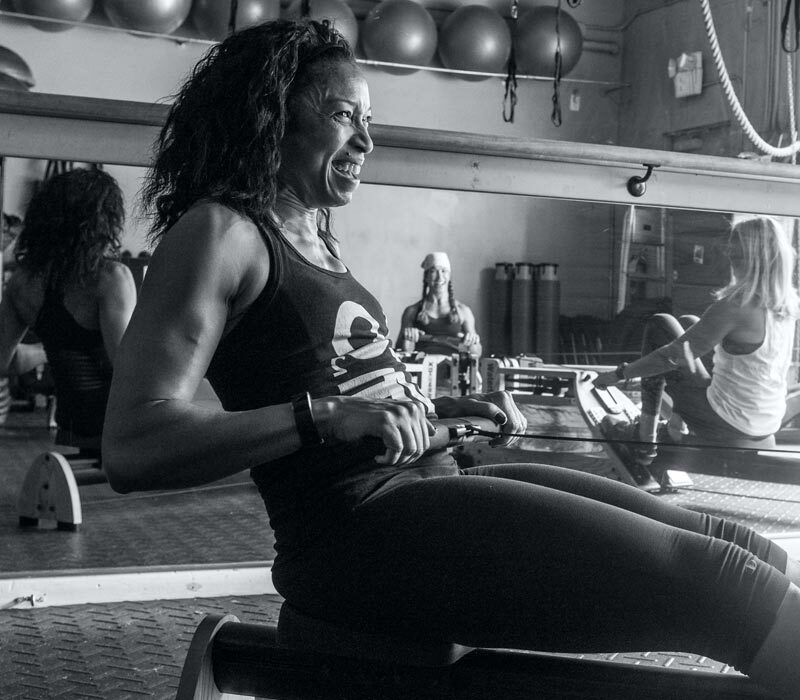 The indoor rowing instructors at Fusion Fitness and O2 Yoga are here to not only inspire you but to make you stronger, fitter and be your best self. Our instructors will challenge you in a fun, team environment while teaching you the technical aspects of rowing. You will leave our classes feeling fit, flexible and strong. The indoor rowing classes at Fusion Fitness have changed my life, it is such a fun workout I can't help but to look forward to the next class. This is the perfect workout if you're trying to get fit in a safe way. Fusion Row and Resist classes keep me challenged in a calorie blasting, sweat dripping workout that I love. This is a great time-efficient class to get and stay in shape! I tried the Fusion row and resist class and I am a believer! This high intensity class was the activity I needed to push me in the right direction for my weight loss needs. Thank you Fusion Fitness! !